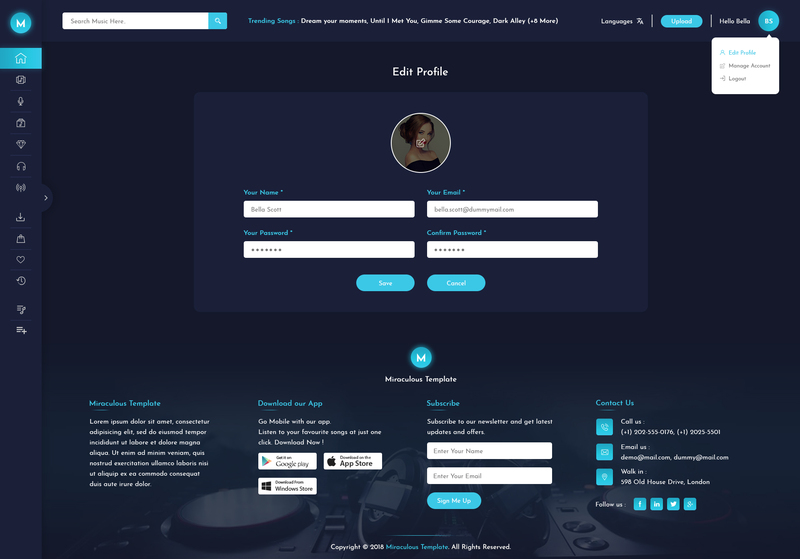 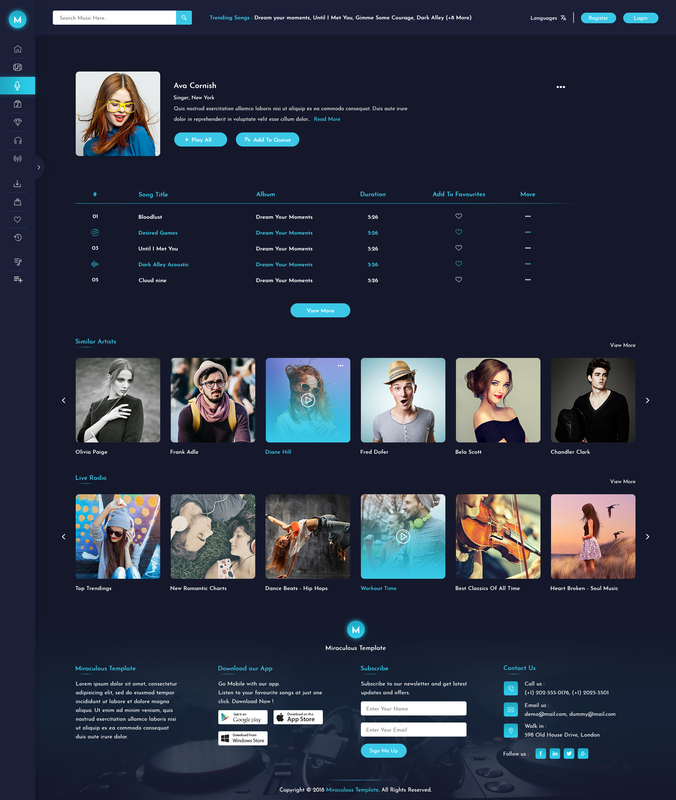 Miraculous – Online Music Store PSD Template, is a very attractive and Modern Designed PSD template for Online Music Store. 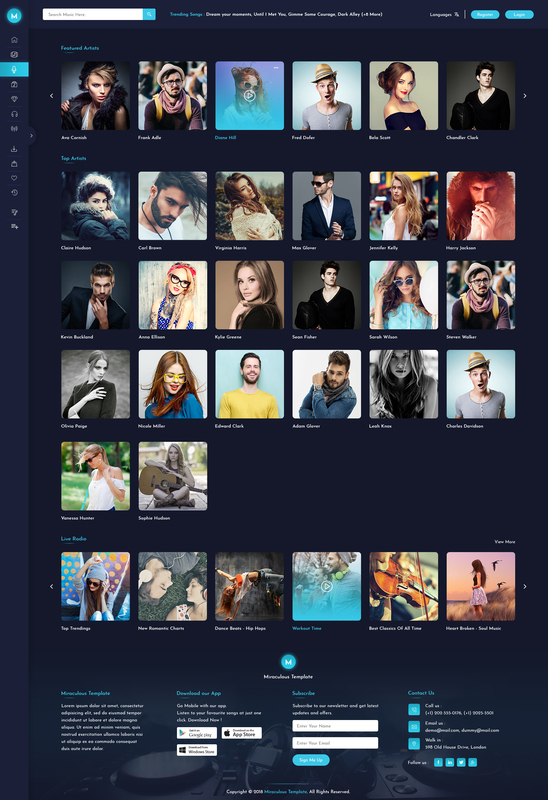 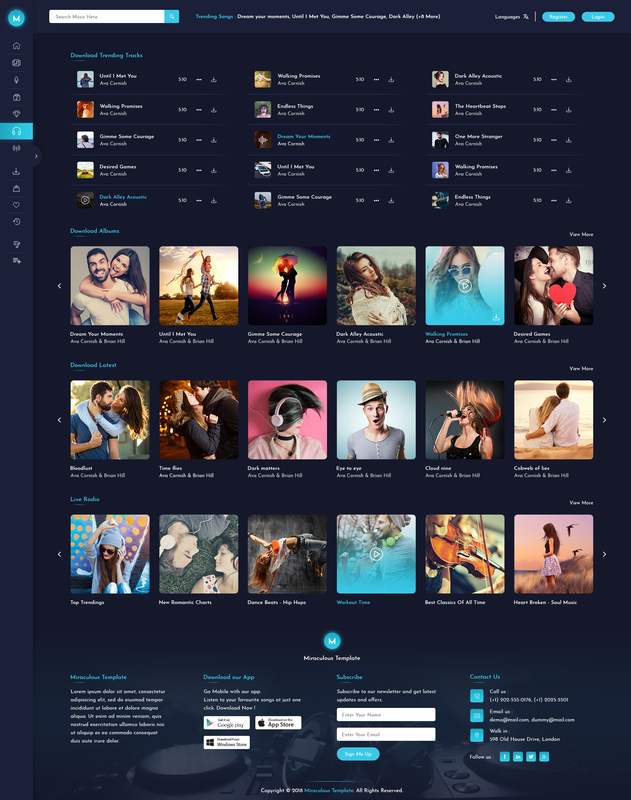 It is built on 12 Column grid (1170px) and Grouped 23 PSD files included, and much more! 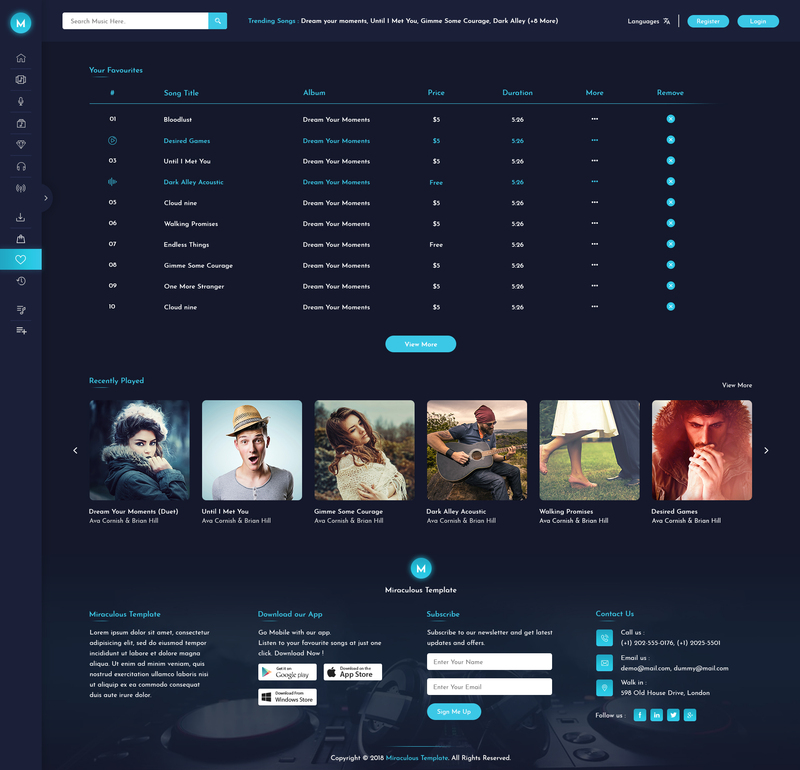 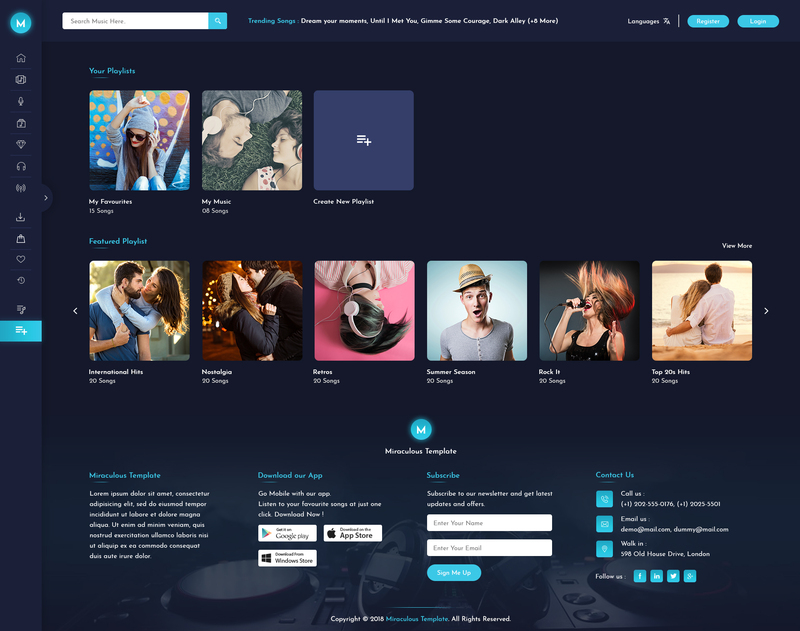 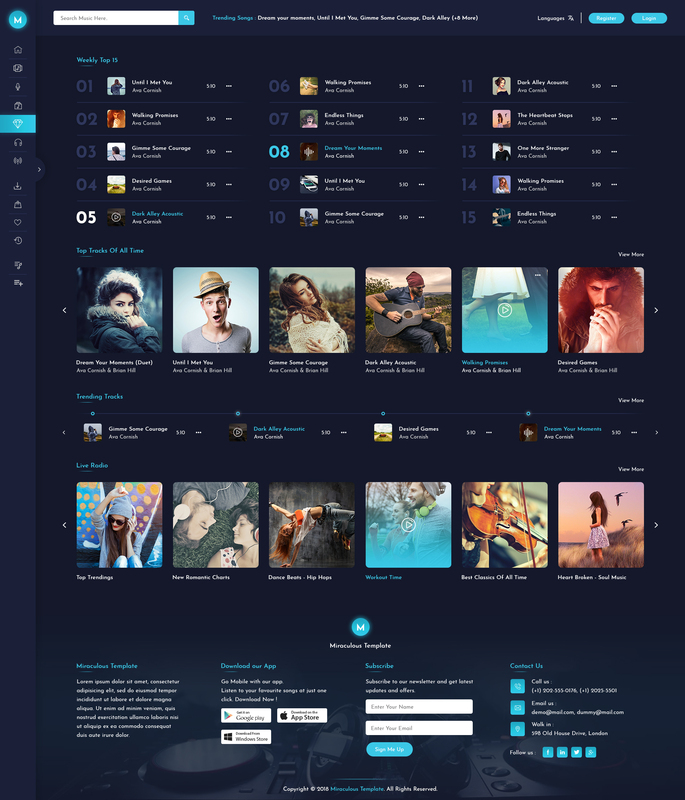 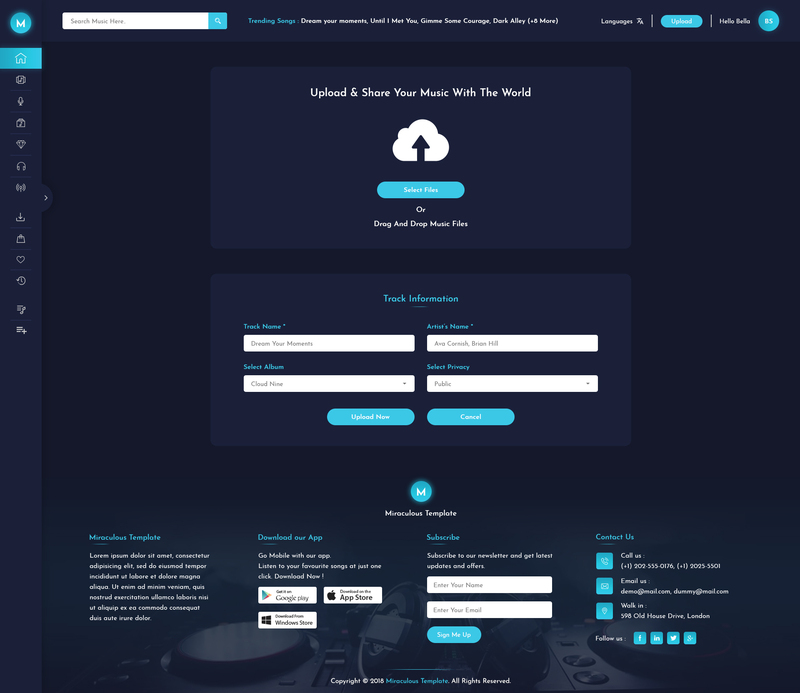 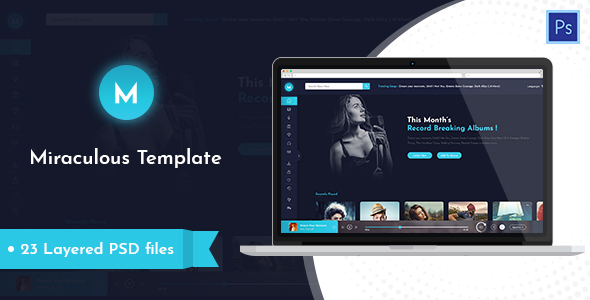 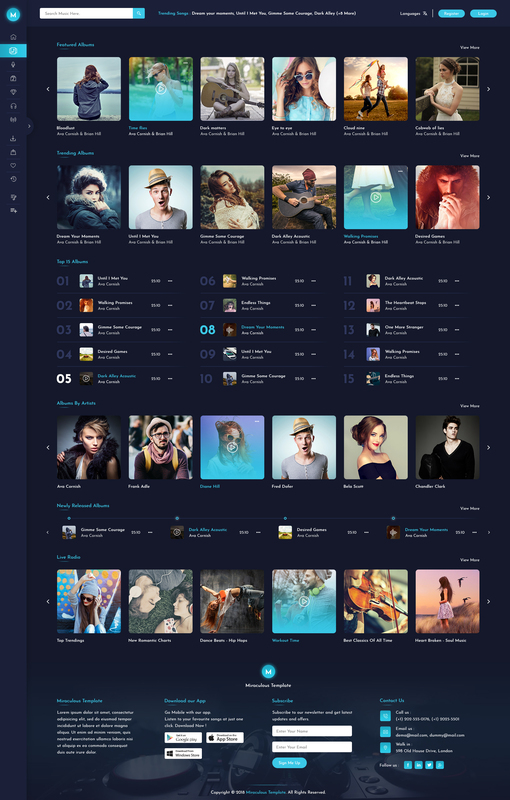 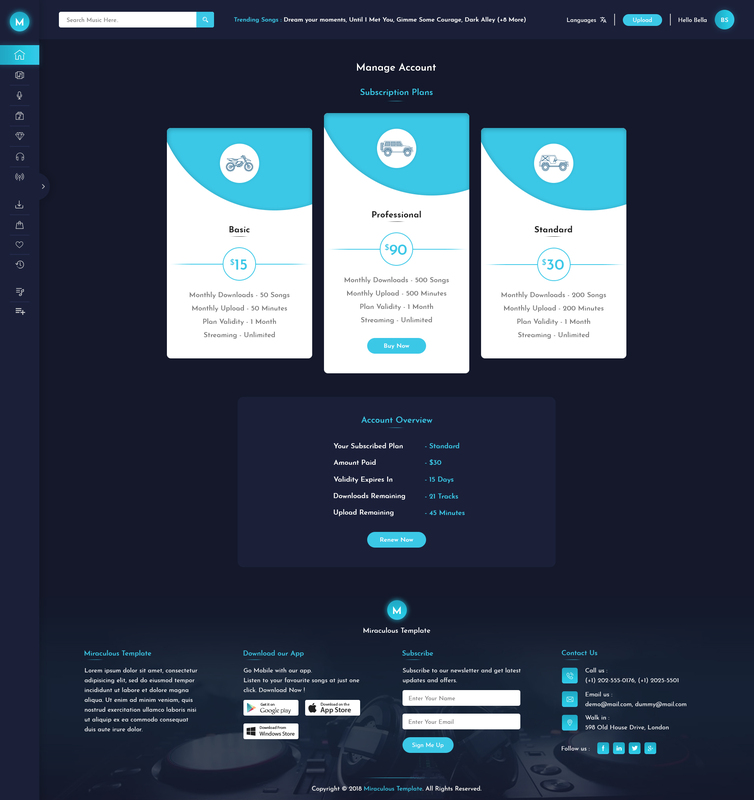 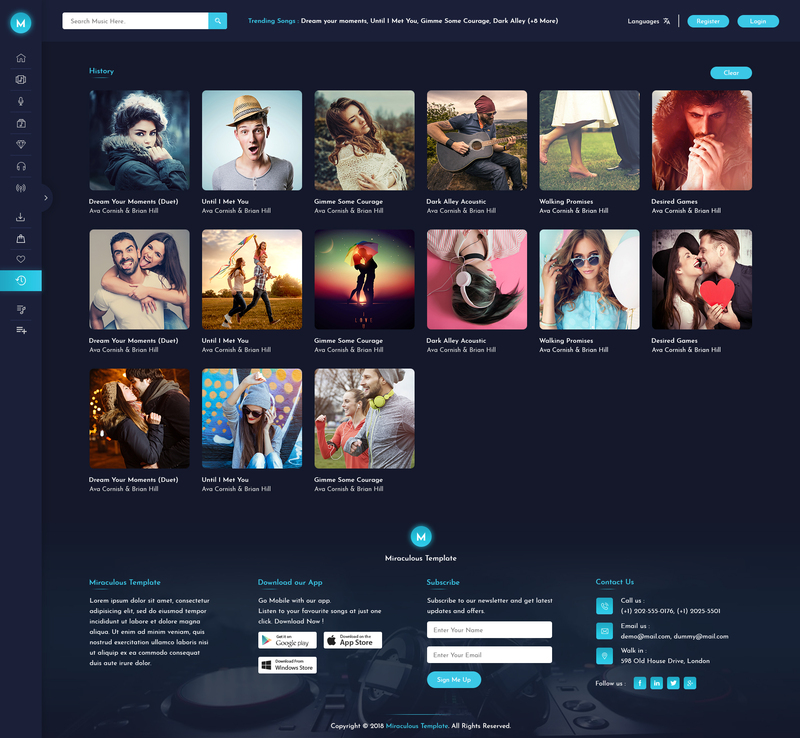 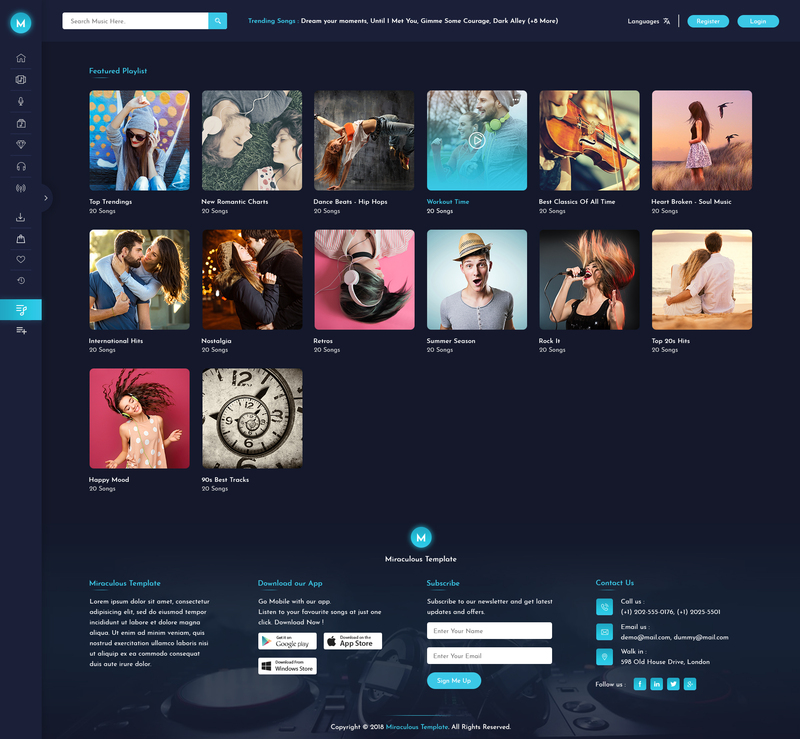 Miraculous Online Music Store PSD is a magnificent, impressive, neat and clean template which is specially designed for the Online Music Store or can be used in Video-Streaming Store. 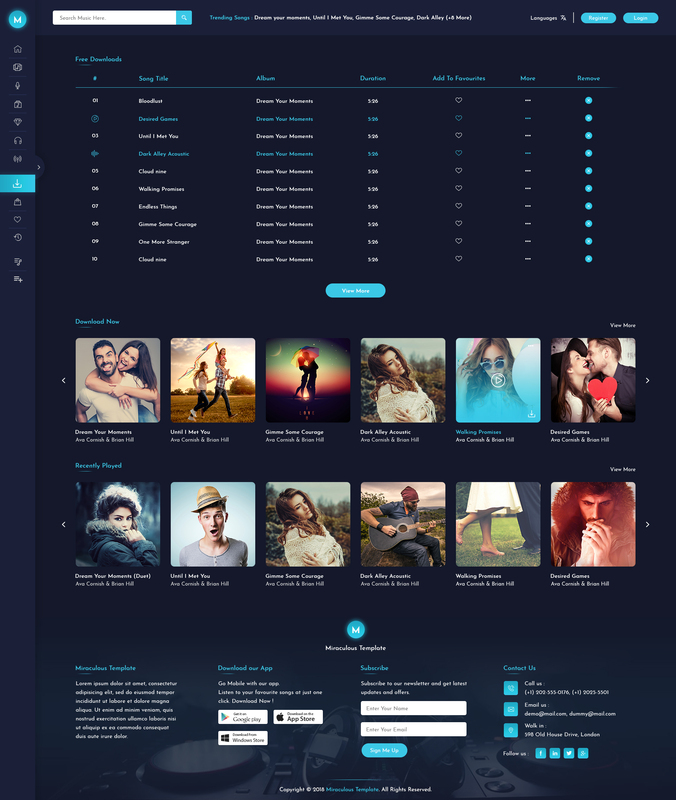 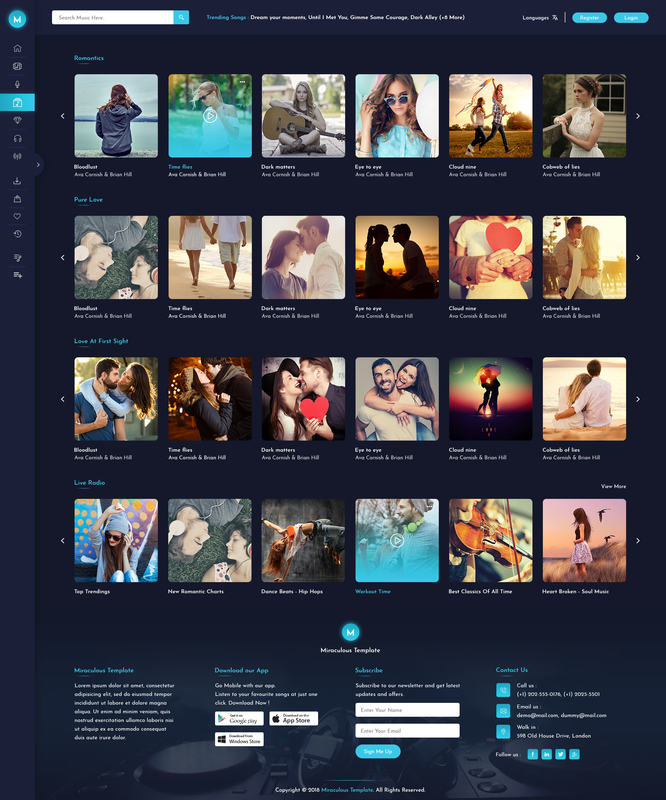 Display your detailed services like Downloading Songs, Creating Playlists, Upload Tracks, and many other features through your websites. 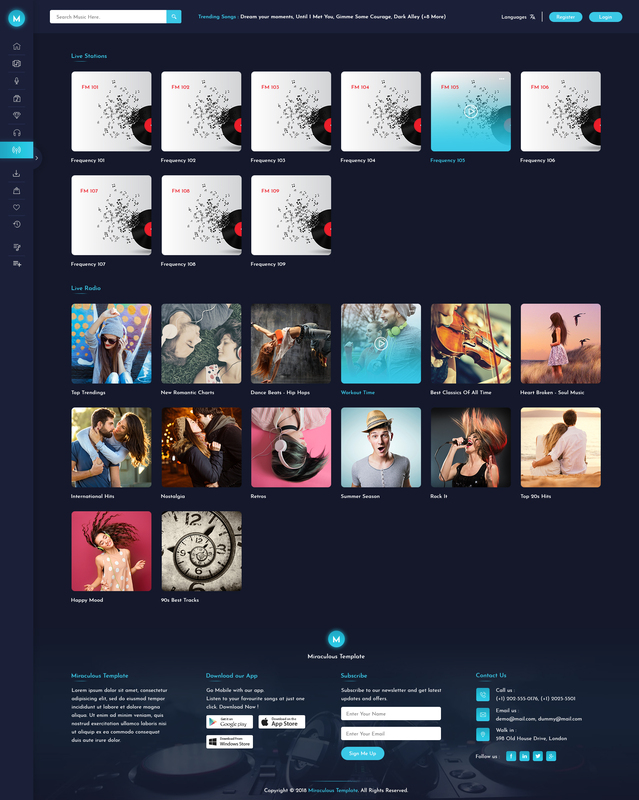 Let your customers go through your Music collection & access you online directly. 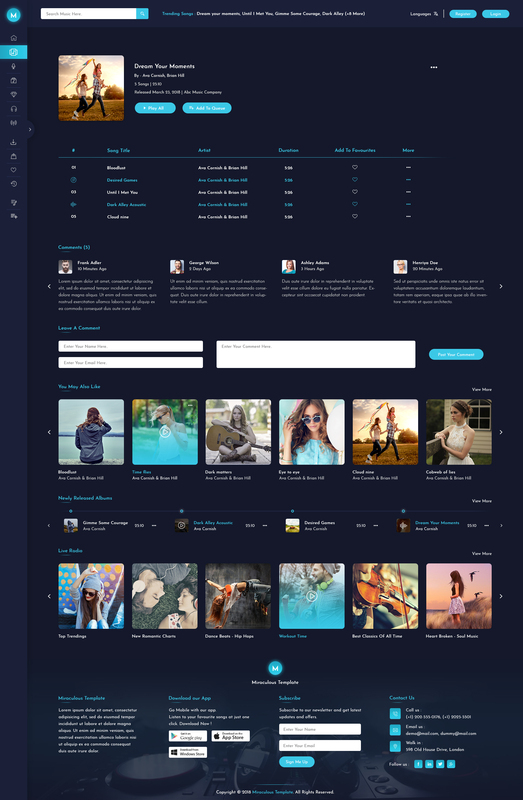 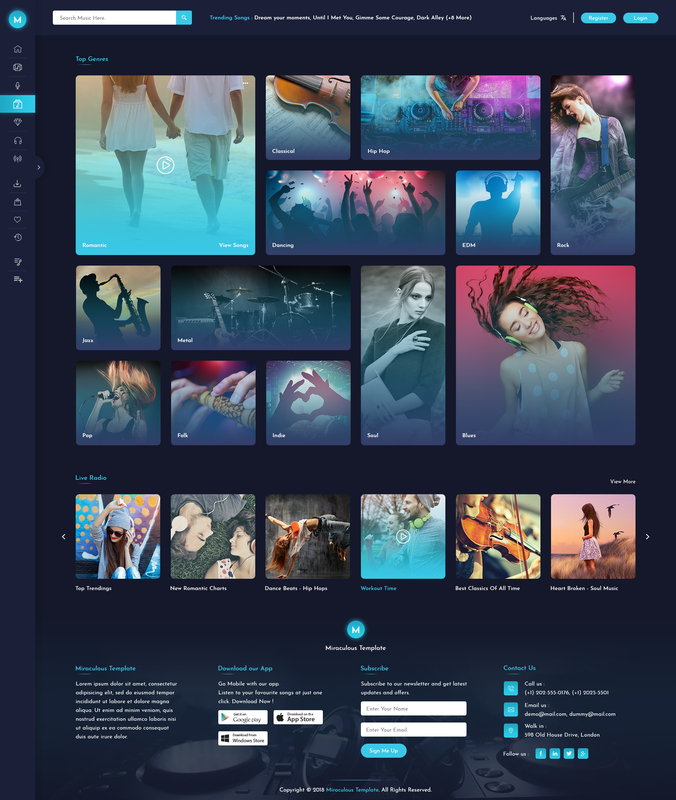 The PSD has dozens of unique features and layouts which empower you to create professional music store.